She knows exactly what she wants and what’s better is she is not afraid to tell others. Not in a stuck up or rude way, she’s actually very lively, sweet, and kind. She simply has reached a point in her life where she doesn’t want to waste her time on anything that’s not good for her. He is careful, steady, and thoughtful. When he first saw her profile online with a list of what she wanted in a partner he thought to himself ‘this could either be very bad or very, very good.’ He saved her profile and thought about when the timing would be right to send her a message. She didn’t seem like the type of lady that would appreciate receiving a message at 11 o’clock on a week night. A few weeks went by and he decided it was the right time on a late Friday afternoon; he sent her a message, and then waited for her reply. He admits it was a test to see if she would reply immediately in the middle of a work day or to see if she replied a few hours later when she was hypothetically off of work. She passed his test. 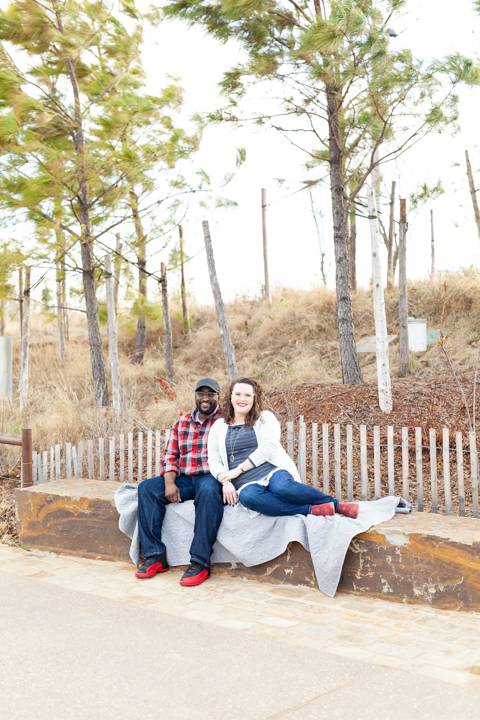 Dozens of messages lead to phone calls, which eventually lead to their first date at a Starbucks in Broken Arrow, and a year later landed us all in Tulsa’s new and prized Gathering Place park for their engagement photoshoot. I first met Katie and Dywren at a local Starbucks to talk about their photography needs; little did I know their "how we met" story ended almost a year prior and just a few feet away from where we were all sitting. The first place they met was at that same Starbucks just right out on the patio! The rest, as they say, is history. 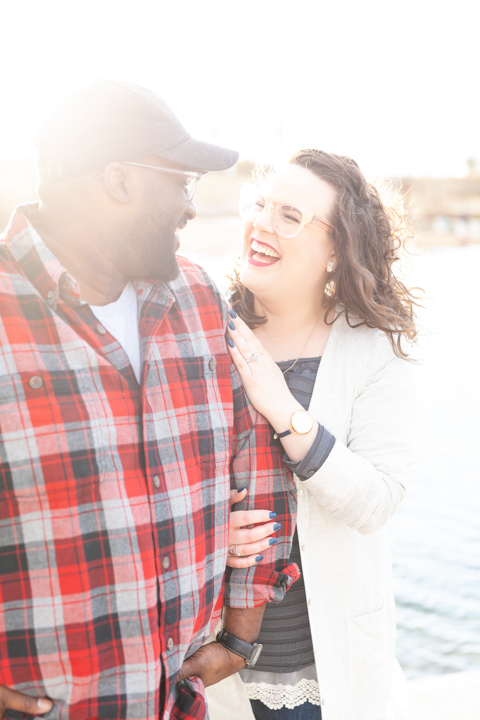 Together, Katie and Dywren laugh constantly; she brings a level of energy and excitement to Dywren, while he reminds her to have a slower and more thoughtful pace in life. 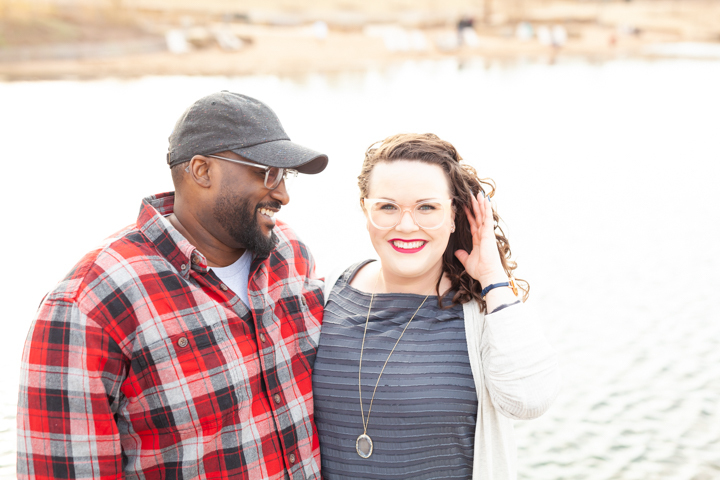 They plan to be married mid-May at the Greenleaf Barn in Broken Arrow, Oklahoma. 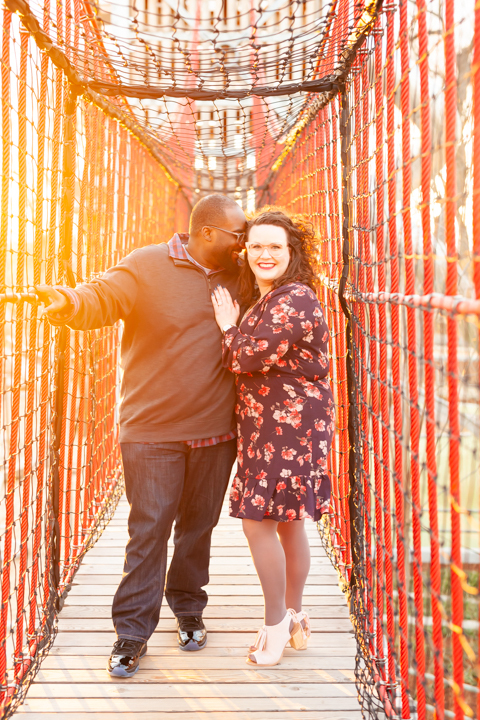 At the end of their engagement photoshoot, Katie asked to go up on the red rope bridge to the playground tower. It was just high enough as the sun was setting to get the most glowy and dreamy light! I absolutely love their photographs on the bridge!!! We didn’t get the bridge to ourselves for very long, a whole group of kids ran up behind me just as I was capturing the winning shot. I thanked those kids for waiting a minute and walked off the bridge telling Katie and Dywren “Oh my, wow! Y’all, look!” as I showed them the back of my camera. 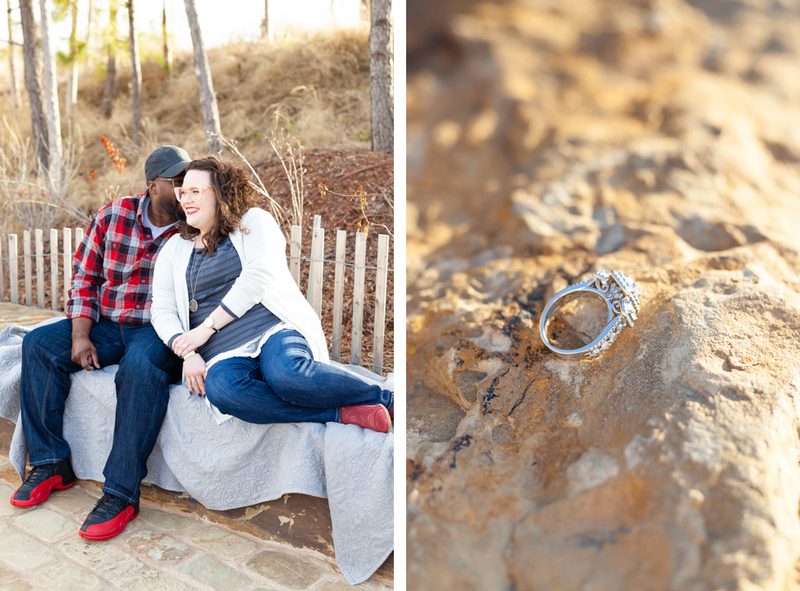 Kate and Dywren, I can’t thank you enough for allowing me the honor of photographing you two for your engagement photoshoot. The Gathering Place in Tulsa was crowded, unbelievably windy, and fairly cold, but through it all you both were amazing and I honestly had the best time! It was more like having fun with friends than photographing clients. Thank you, again, for the tea that warmed me up on my way home!!! You both are the best!!! I really hope you love seeing a few highlights from your day. Need more puppy love? 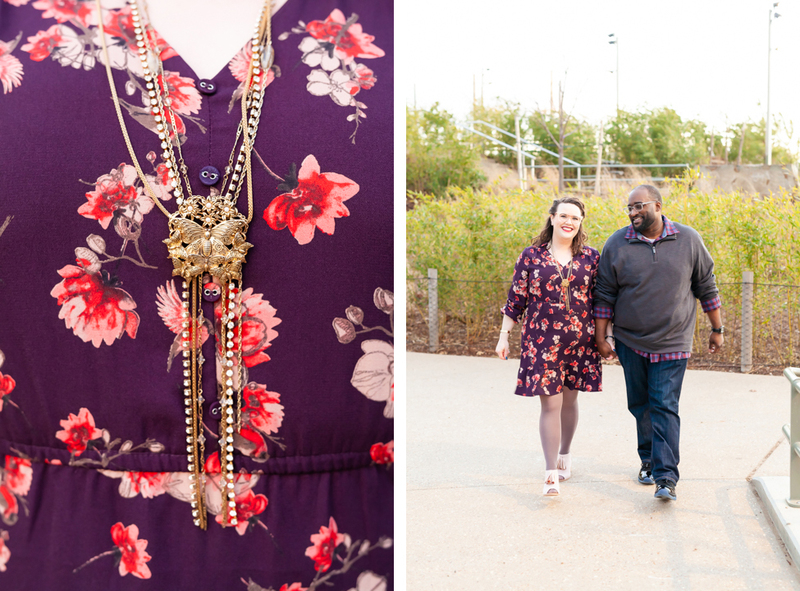 Check out Amber and Nathan’s fall Tulsa engagement photoshoot. Those orange trees are to die for!! 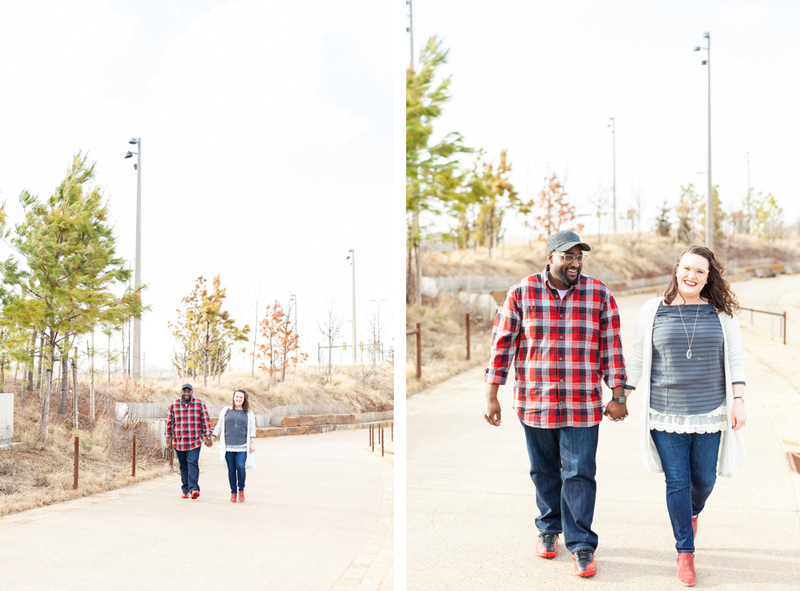 It wasn’t that windy but it sure was cold, cold, cold for this Tulsa family photoshoot late last fall. I have the most trusting, toughest and best clients, end of story! 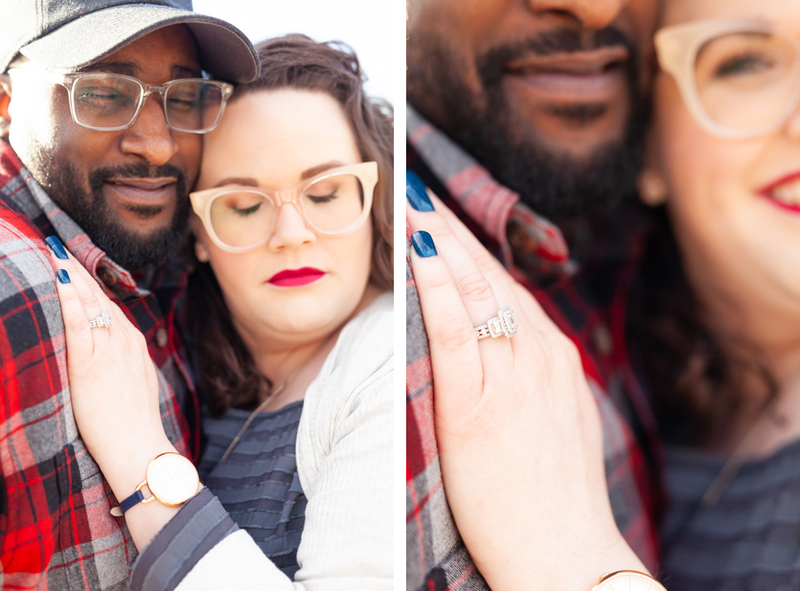 If you’d like to schedule your own couples or engagement photoshoot… click here to complete my contact form!